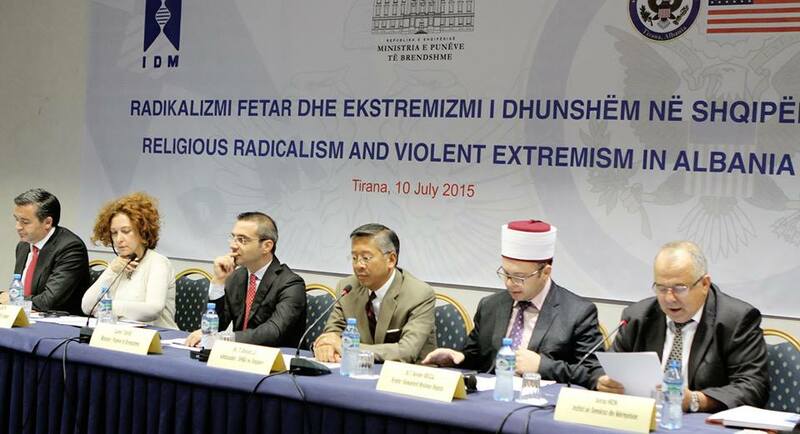 The Institute for Democracy and Mediation in cooperation with the Ministry of Interior launched at a national conference the findings of the study “Religious radicalism and violent extremism in Albania”. 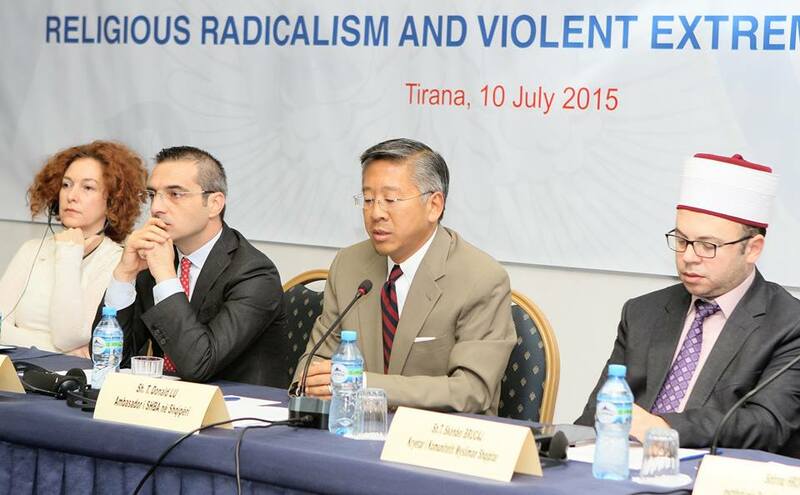 The study is part of a project funded by the US State Department aimed at preventing religious radicalisation by examining the risk factors and producing reliable data to inform policy-making at the national and local level. 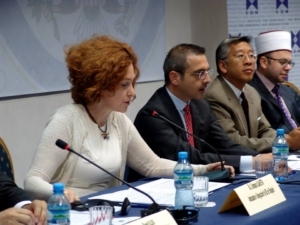 The conference gathered representatives of the expert community and civil society in the country, experts of state institutions and senior officials, representatives of international organizations, foreign diplomatic missions etc. Speaking at the event, IDM Executive Director Sotiraq Hroni underlined the need for evidence-based actions and broad societal involvement to prevent the phenomenon. Referring to the IDM study, Ambassador Vlahutin said that “while religious radicalisation in Albania might be of a very small proportion, we need to pay attention and seriously address the problem now, in order to avoid any possibilities of growth for an ideology that, in its essence, is deeply alien to Albania.” Ministers Tahiri and Klosi presented results of Albania’s efforts in the fight against violent extremism and planned next steps, underlining also the importance of cooperation with religious communities, civil society and local stakeholders. Gjergji Vurmo and Besfort Lamallari, co-authors of the study elaborated on the main research findings which was followed by a lively discussion among conference participants.